Tennis champion Roger Federer once considered becoming a professional soccer player. Federer would have found himself in the same era as Lionel Messi, Cristiano Ronaldo, and Neymar. Roger Federer, widely considered the greatest tennis player of all time, once hoped to be a soccer player. The 36-year-old always wanted to pursue a career in sports and had it not been for tennis, he could have found himself competing against the likes of FC Barcelona forward Lionel Messi, Real Madrid striker Cristiano Ronaldo, and Paris Saint-Germain star Neymar. So what made him choose tennis? Well, the answer lies in a fundamental difference between the two sports. If his team lost in soccer, he would find people to blame. But if he lost in tennis, he knew he could only blame himself. “I chose tennis because I didn’t want to blame the goalie or defender, I wanted to be in total control,” he said. With 20 major tennis titles and an Olympic gold medal, it is clear Federer made the right move. 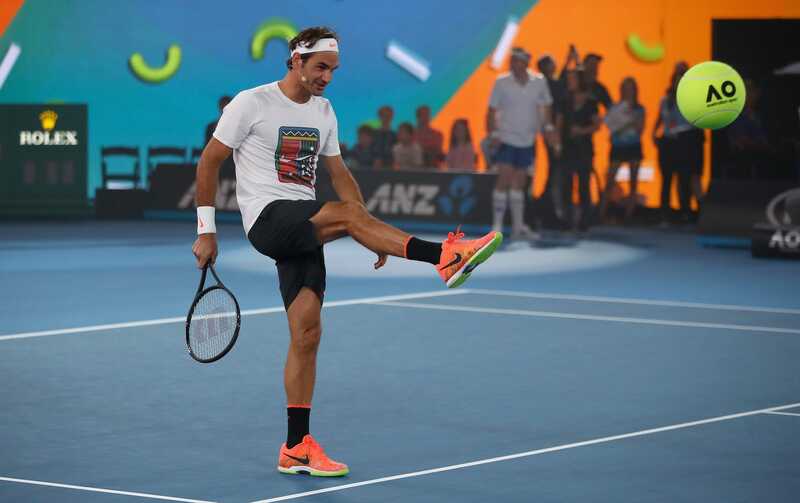 Federer won his last major earlier this year when he scooped the 2018 Australian Open. However, he recently suffered a shock second round loss to Thanasi Kokkinakis in the Miami Open and it is unclear when he will return to the court, as he will skip the entire clay court season. “You take a break, get away from it all, and get back to practice court and work,” he said in The Guardian.